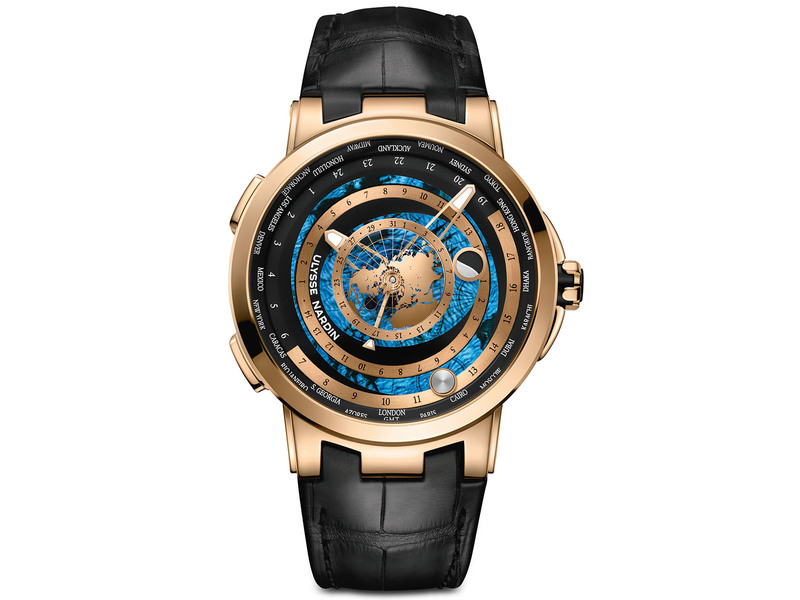 Ulysse Nardin introduced the latest version of its Moonstruck model, which was added to the brand’s product line in 2009, now featuring the World Timer function. The Moonstruck model is a masterpiece not only for Ulysse Nardin but for the world of watches in general with its amazing features and the user-friendly design of those features. In fact, as the name Moonstruck suggests, the prominent feature of the model was the function that allowed you to read detailed information about tides. 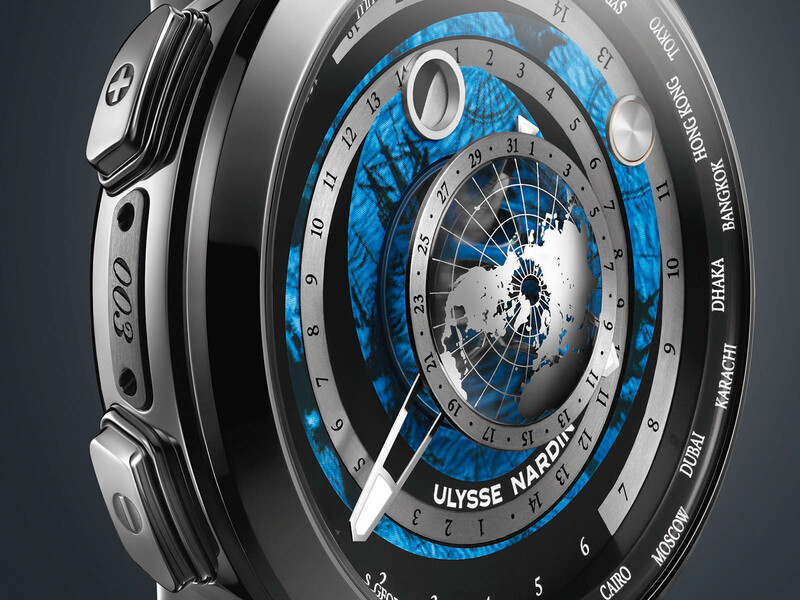 Ulysse Nardin, took the bar to an upper level and added the World Timer complication among the model’s features. In the course of the development of the new model, utmost care has been taken to ensure that the features available are simple and clear. 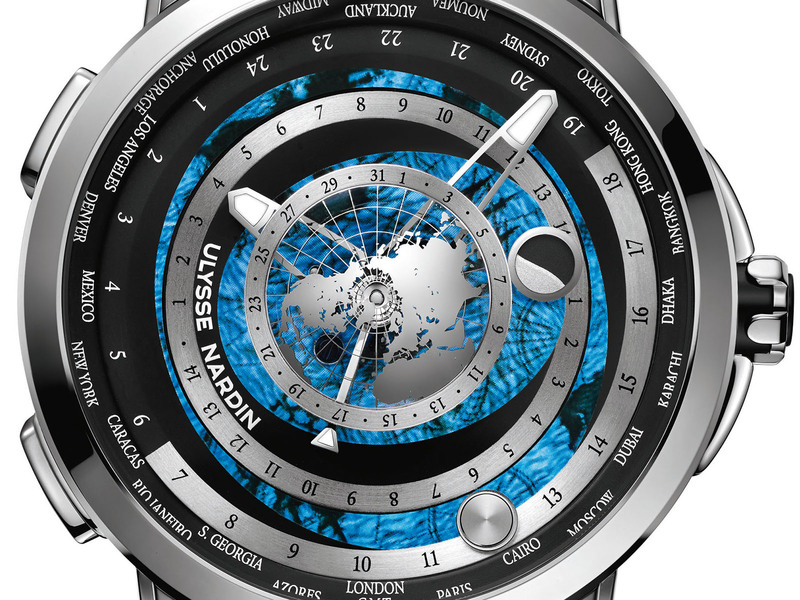 Unlike the previous version, the rotating world figure in the dial was removed and replaced by rotating discs representing the Northern and Southern hemispheres. The tidal state, which is predominantly emphasized in the previous model, is not directly foreground in the design of the new model’s dial, but the moon / earth / sun relationship, which causes the tidal motion to occur, has been processed in an artistic way. The dial design of the new Moonstruck model has made it possible to host a simple yet highly functionally designed world timer function. 24 different time zones have been adapted to the world map at the center of the dial. All these features are clearly and comprehensibly included in the design of the dial, which also features the day / night indicator. 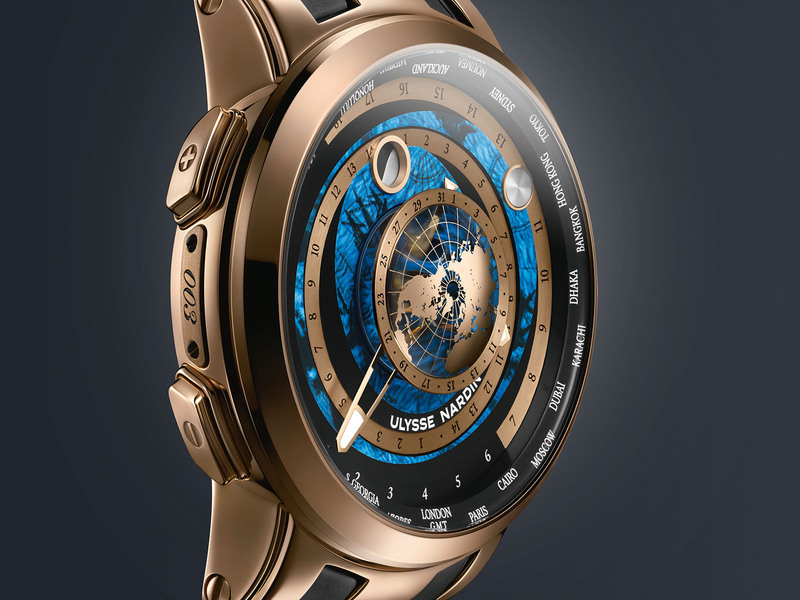 Ulysse Nardin Moonstruck Worldtimer is offered in two case options as platinum and 18K pink gold Designed at a diameter of 46mm, the case sports a scratch resistant sapphire crystal glass with antireflection coating. The winding crown is screw-locked and the case is water resistant to 100 meters. The new model is powered by the brand’s in-house movement Caliber Ref. UN-106. The movement beats at 4Hz and features cleverly put together functions like the position of the sun and moon relative to the earth, the moon phase indicator, the tidal map and the world timer with 24 cities. Both models come on black alligator straps.